Talk about an exciting preview! Is it April yet, because it's looking like things are about to get really intense as the first season draws to a close. 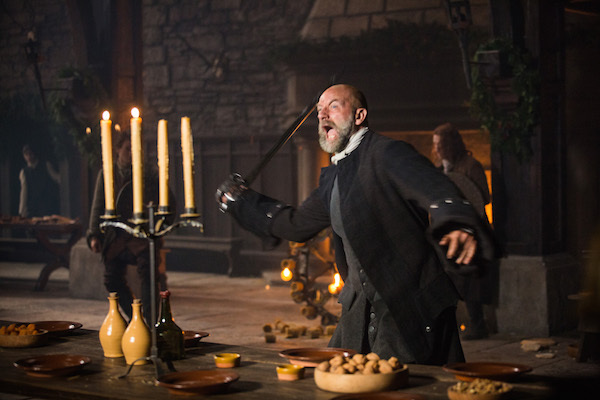 The first half of the season focused on Claire (Caitriona Balfe's) arrival from the 1940's to 18th Century Scotland, where she was forced to marry Jamie Fraser (Sam Heughan), a gallant warrior whom Claire falls for, despite being happy married to the husband who's searching for her back in her time. From the above preview, it looks like getting back to her time is the least of her concerns. We're teased with some serious drama and conflict, including what appears to be a heavy conversation between Claire and Jamie, as well as more problems with Captain Jack Randall. 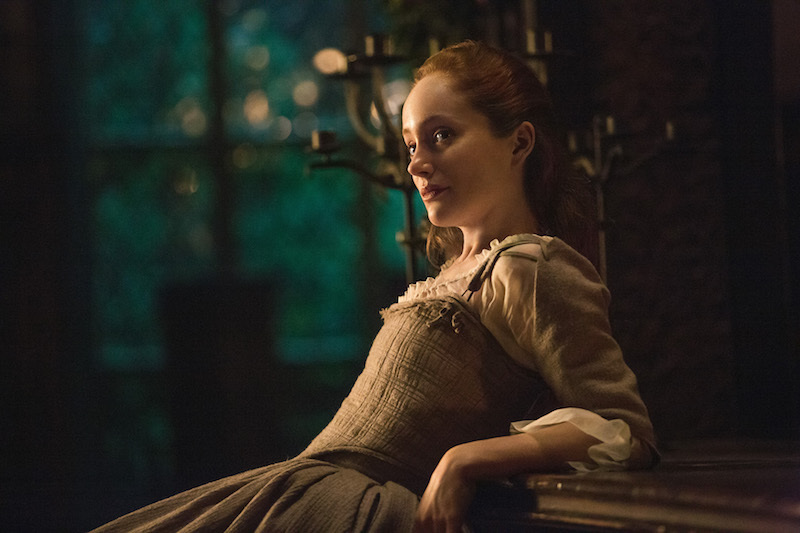 And we also see Geillis demanding answers from Claire. Will the truth come out? 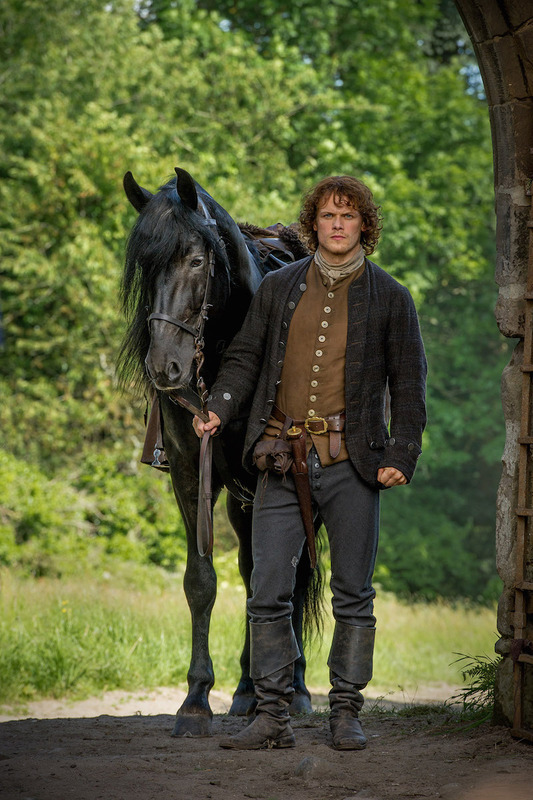 And from everything the trailer shows us, it looks like both Jamie and Claire will have their fair share of problems as the first season wraps up. 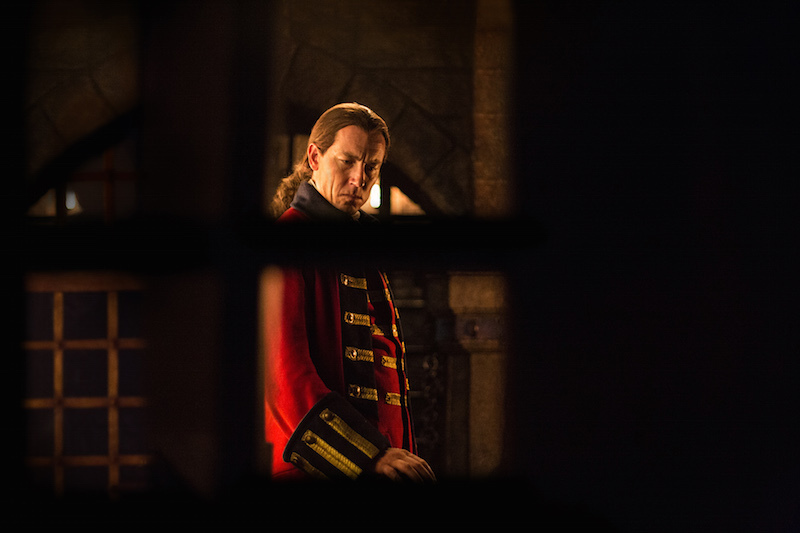 We see Claire locked up at one point, and Jamie prepared for a duel, not to mention on the receiving end of one of Jack Randall's brutal punishments. 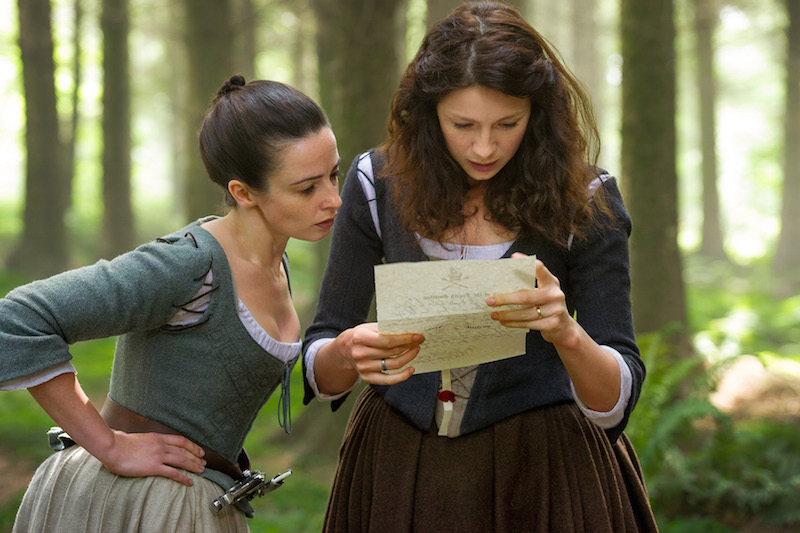 Because even where there's drama everywhere, there's always room for some steamy Jamie-Claire together time, right? 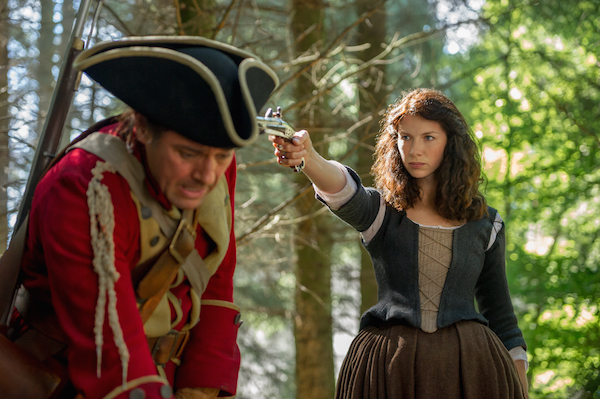 Side-note: Claire looks like she's got her mind on something there. You can view more photos in the gallery below.